Boxing gloves are one of those boxing gears that tend to become smelly and home of bacteria because of germs caused by sweating and wetness. If you want to keep your gloves from being stinky and germ-free, there are few things you can do. In this article, we will share some effective methods to keep your gloves clean. Read on. Since, prevention is better than cure, take steps to prevent your gloves from getting bacteria and germs. Here are the methods you can follow. Letting your gloves dry completely after every use is very important to keep them clean because germs need moisture to survive. Completely drying the gloves will keep germs from breeding. If you don’t dry your gloves after wearing them, they may become stinky. Hang your gloves in a well-ventilated area in the air of fan. You can let them dry in the sun as well. Another method to keep your gloves from getting bacteria is wiping them inside and out with a paper towel after use. Doing this will minimise the moisture that is the home of bacteria. Many individuals place the gloves in the bag immediately after using them. This is a very common place bacteria to breed and grow. Don’t put your gloves directly in the bag. 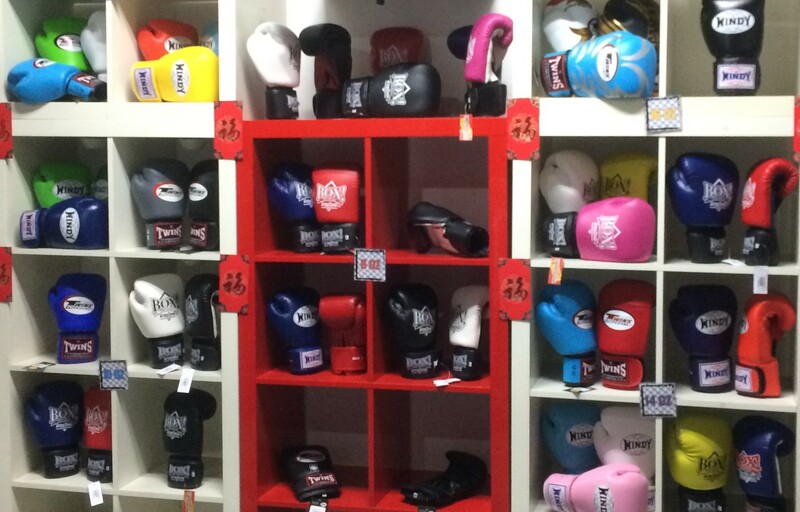 Place your boxing gloves in the plastic bag after use. Take them home and let them dry. After drying, put them in the bag. Another great way to soak sweat in your gloves and prevent them from getting moist is using hand wraps. Hand wraps will act like a sponge and absorb the moisture from padding inside the gloves. This method works perfect but you will need to clean the hand wraps regularly. Otherwise, they will start to stink. If you have forgot to dry your boxing gloves and they have become stinky, these methods will for sure help you clean them. Using anti-bacterial spray will kill germs in your gloves. Before hanging your boxing gloves in the air or sun, you can also use anti-bacterial spray to kill bacteria. Spray will quickly fix this problem and freshen up your gloves. Unlace or unwrap your gloves. Spray anti-bacterial spray in them. Place them in an open area for some time. Note: Don’t make this method a routine. Soaking your gloves in the saline solution overnight is a surefire way to kill bacteria and rid your gloves from stink. This solution will break down the bacteria and dissolve them in your glove. This method can be dangerous for the gloves made of the material that are not reactant to salt water. So, it is better to do a little research before using it. This method is considered better alternative to boiling the gloves as it can damage your gloves instead of killing bacteria. Take saline water in a container. Place your gloves in that solution. Leave them overnight and let them dry the next morning. This method may not sound normal to you but it is most effective way to kill bacteria. Place your gloves in the freezer overnight and air dry them the next one to two days. It is a better idea to put gloves in the plastic bag before placing them in the freezer. You can place them one to 2 days in the freezer instead of one night. Some boxers stuff their gloves to air them and prevent bacterial growth. Using glove dogs is perhaps the most effective way because they are tailored specifically. Besides preventing bacterial growth they also increase the life span of gloves. Glove dogs are a small cotton bags filled with cedar chips. Cedar chips draw the bacteria out of the gloves. Some boxers suggest using newspaper or a bar of soap for this purpose. Apple cider vinegar can be used to clean many different things like shoes and bags. It is very effective for cleaning boxing gloves and removing stink as well. It is super easy and super effective method to freshen your boxing gloves. Pour about a tablespoon of apple cider vinegar into your hand. Rub it inside the gloves thoroughly. Allow your gloves dry overnight. In the morning, there will be no stink in your gloves. If applying vinegar one doesn’t work, you can apply vinegar more than once. If you don’t keep your gloves clean, they can get bacteria or become stinky. So, follow above mentioned steps and keep your gloves clean and germ free.